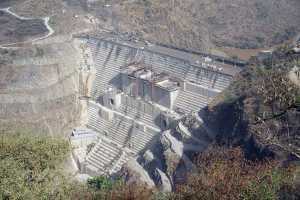 Addis Ababa, October 10, 2015 -The Gilgel Gibe III hydroelectric project has begun power generation this evening. “Dear all, good news GG III has started power generation this evening,” Alemayehu Tegenu, former Minister of Water, Irrigation and Energy, tweeted. Having a height of 243m and total installed capacity of 1,870MW, the Gilgel Gibe III hydroelectric project is the highest Roller Compacted Concrete (RCC) dam to facilitate better access to electricity for the nation as well the neighboring countries. The project will increase the generation capacity of Ethiopia by 234 per cent and makes the power export program of the country viable. Thus, the project is expected to have great socio- economic contributions by feeding Ethiopian grid, and creating regional integration among the neighboring countries through interconnected system.